Summary of on the BMW Fast Start week! 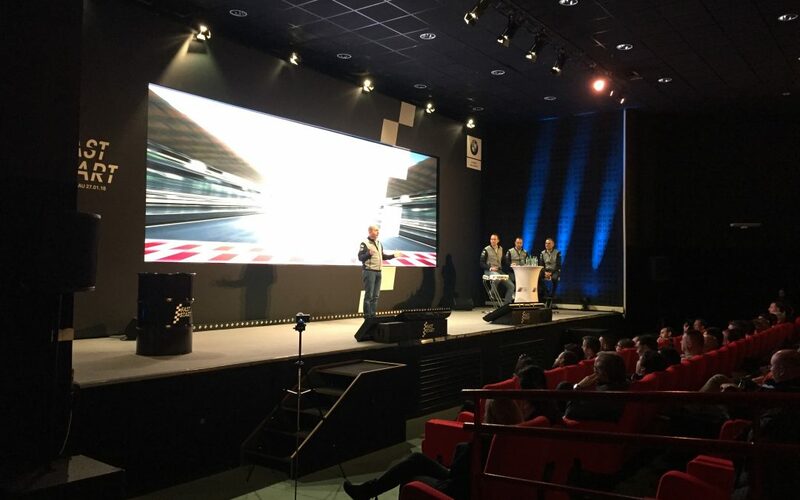 Last week was the first Fast Start convention for the BMW Group at the Circuit of Nevers Magny-Cours. The guests of BMW Group had the chance to participate in a visit that had been carefully prepared by the German manufacturer. The main objective for this convention was to present the 2018 marketing strategy during a theoretical conference. The guests were then divided into groups for the different workshops where they could discover and test the new BMW models. – trying the Off Road course particularly suited to showcase the xDrive capacities. A winning combination for BMW since in addition to the technical arguments, representatives of the brand were able to show off the BMW products through their personal experiences with customers. Speaking of new things… the visitors had the honour of witnessing the presentation and preview of the new M8 GTE which will participate in Le Mans 24 Hours race, and the new i8 Roadster. Key moments of exchange and shared experience that put a smile on the face of each and every participant!